New York-Presbyterian Hospital – Weill Cornell Medical Center, located in New York City, is one of the leading academic medical centers in the world, comprising the teaching facility New York- Presbyterian Hospital and Weill Cornell Medical College, the medical school of Cornell University. New York-Presbyterian – Weill Cornell provides state of the art inpatient, ambulatory and preventive care in all areas of medicine, and is committed to excellence in patient care, education, research and community service. 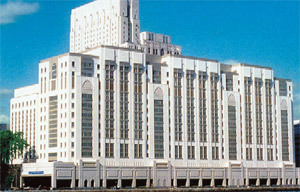 It is one of five main facilities of the New York- Presbyterian Hospital system in New York City. Implement a key control and guard tour system that will hold up to the constant wear and tear of daily use and be both durable and rugged. The system also needs to offer easy auditing and reporting functions while meeting the guidelines for key control established by the International Association for Healthcare Security & Safety (IAHSS) standards. Hospitals are public facilities which are open 24 hours a day, seven days a week, and 52 weeks a year. The security solutions must effectively protect patients, staff, visitors and facilities without interfering with hospital operations. They should also be convenient and simple to assure compliance. One of the most effective ways to address this, and minimize risk to the hospital, is to control access into defined security sensitive areas throughout the facility with a key control system. Due to the public nature of the facilities, anyone can enter and move about the premises unchallenged, security is enhanced by having uniformed guards visible patrolling the facility. KeyWatcher® Key Control System – The KeyWatcher is a custom-tailored solution designed to record the access history of each key, including user, date and time of checkout/return. By releasing assigned keys only to users with the proper authorization code, the KeyWatcher system helps to ensure adherence to the hospital industry standardized policies and procedures. Using minimal wall space, the key storage cabinet eliminates outdated lock boxes, unreliable manual logs and messy key identification tags. Constructed of rugged stainless steel, the illuminated key storage system is designed to resist abuse and is alarmprotected against tampering. KeyPro® Performance Software – The userfriendly PC application software delivers real-time polling transactions, status, alarm and reporting capabilities for the KeyWatcher system. Activity reports can be customized to trace key movements by time, date and user code or biometric access data. PowerCheck® Guard Tour System – With its multiple tour capabilities, integrated functions and reporting options, the PowerCheck Guard Tour System delivers a convenient and cost effective solution to security management at the hospital. The rugged hand-held data recorder allows security personnel to input incident codes while on tour using the built-in keypad and display. Paperwork is eliminated with 99 pre-set incident codes which can be downloaded to the computer at the end of the guard tour. Tour-Pro® Software – The Tour-Pro Data Sorting Software is a Windows® application which converts the tour information into printable reports which may be customized by time, day, week and month. For added value and convenience, this same software can additionally be used to program the data recorder and manage the files. Security management at the hospital has been using Morse Watchmans solutions for over 10 years because of the products’ outstanding performance, reliability and sustainability. In compliance with the JCAHO standards, the hospital’s Morse Watchmans key control system is evaluated every three years and, as needed, upgraded to include improved performance features as well as initiating system implementation on the network. The Morse Watchmans Guard Tour System has also been included in these evaluations and upgrades implemented, including new reporting software. Security has been increased without negatively impacting convenience for patients, staff and visitors. 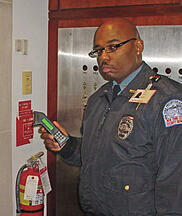 In some cases, convenience for the security staff has been substantially increased. For example, the network capability of the KeyWatcher Key Control system allows management to easily program and implement changes over the LAN. In addition to the time and effort saved, these immediately effective changes can help prevent incidents wherein terminated employees no longer have access to keys.